Among the many fascinating types of black birds in the world, today we bring you the ones that are ridiculously gorgeous and have a black head. Most of the birds with a black head are colorful with unique characteristics. Others are monochrome but over-the-top cute. The rose-breasted grosbeak is just one bird with a black head that will take your breath away with its unique beauty. To learn more about these cute looking birds with a black color head, take a look at the below list. 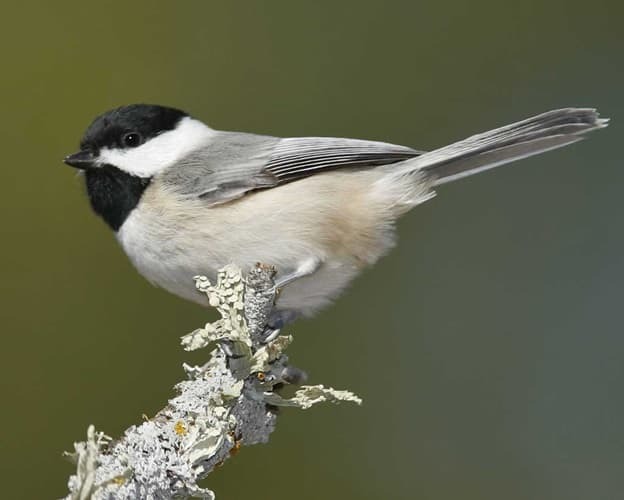 Carolina Chickadee is a cute small bird with the black head that comes from the Paridae family. Mostly Seen: United States (Texas, Kansas, New Jersey, Florida). Distinctive Identification Characteristics: This spherical-shaped bird has a black head and bib. 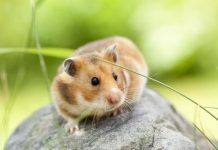 It features a long tail and white cheeks. The rest of the body is done in many different shades of gray. Carolina Chickadees grow up to 12 cm in length. Facts: The most interesting fact about this type of birds is that they can purposefully lower their body temperature when winter comes. They tend to hide inside the woods and stay warm thanks to this mechanism. This is a gorgeous medium-sized songbird which belongs to the Cardinalidae family. Distinctive Identification Characteristics: As the name suggests, this bird has fun red colored breast. It has a black head, back, tail. The wings are also black but with a white print on them. Their belly is white, with the exception of the middle red part. It grows up to 22 cm in length. 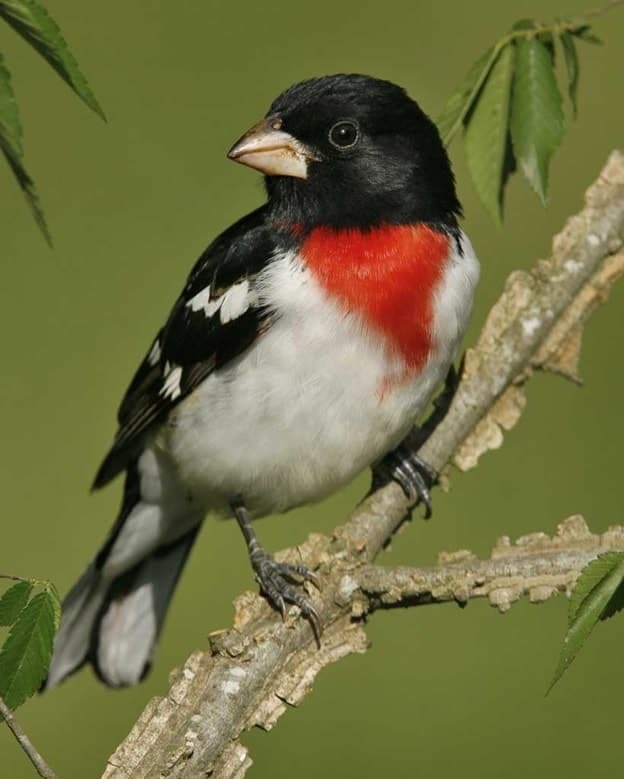 Facts: Rose-breasted grosbeaks produce a wonderful song that leaves people mesmerized. It reminds very much of the one coming from a robin. Spotted Towhee is a beautiful and colorful bird which is a part of the Passerellidae family. Mostly Seen: Central parts of the United States. Distinctive Identification Characteristics: This pretty bird with black head also has black wings, back, and tail. Their sides are colored in a standout orange hue. The belly is white, together with white spots on the wings. The eyes of a spotted towhee are red. They grow up to 21 cm in length. 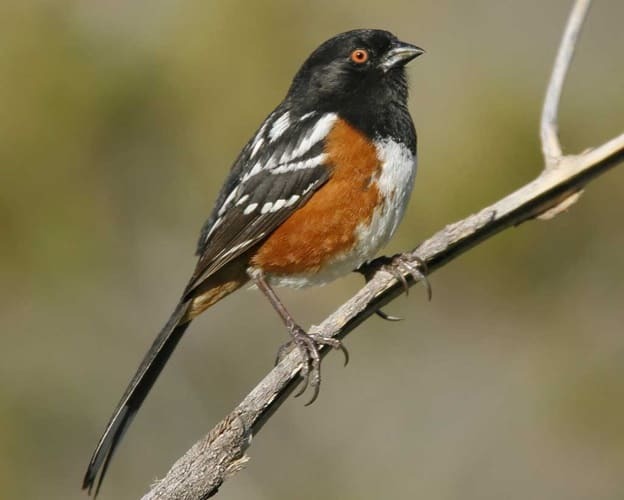 Facts: When spotted towhees are approaching their breeding season, they tend to spend most of their mornings singing, trying to find a pairing partner. The American goldfinch is a small-sized bird that comes from the family of Fringillidae. This bird has a little black color shade on its head that brings a cute color combination. Mostly Seen: United States (California, North Carolina), Canada (Saskatchewan). Distinctive Identification Characteristics: American goldfinch is a yellow bird with black head. They are colorful gorgeous birds in a striking lemon yellow shade. Aside from the head, the wings and tails are also black with white spots. 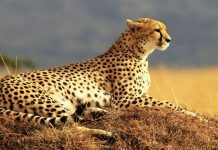 The estimated growth in length is up to 13 cm. 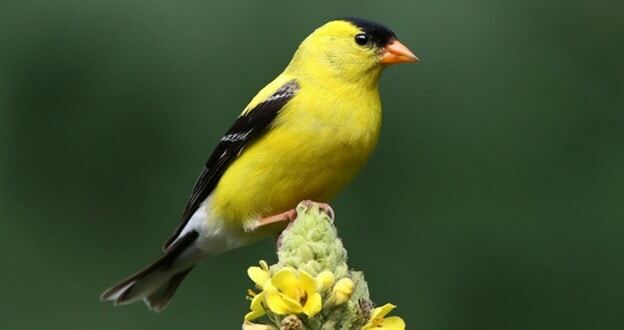 Facts: The American goldfinch is a vegetarian. These birds are among the rare types that never ever eat any kind of meat or insects. The only time that they do is completely by mistake. Black-capped kingfishers from the family of Alcedinidae are stunning medium-sized migratory birds. The head is black and the rest of the body has various colors like the image above shows. Mostly Seen: India, China, Korea, Sri Lanka, Thailand, Burma, Philippines, Kansu, Hainan, Borneo. Distinctive Identification Characteristics: The black-capped kingfisher is without a doubt one of the most beautiful birds that have a black head. Their throat is in a white color, while the wings carry a mesmerizing blue shade with purple undertones. The beak is red. 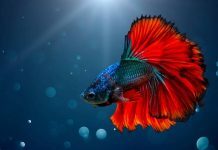 They grow up to 28 cm in length. 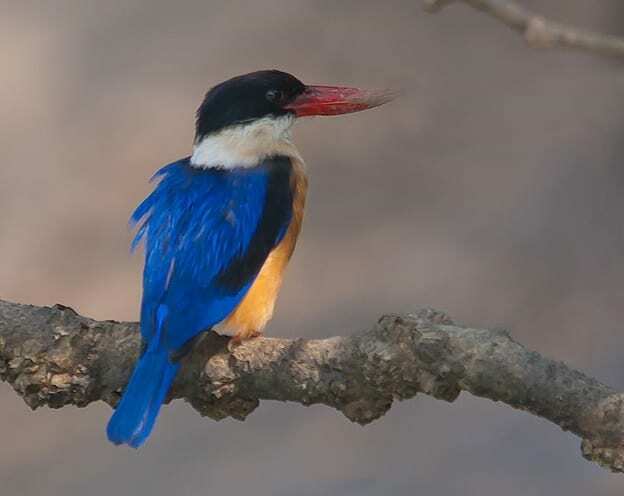 Facts: You will easily recognize the black-capped kingfisher not only by its appearance but also by its sound ki-ki-ki-ki.